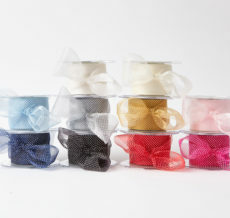 Whether you need sheer, satin, grosgrain or even velvet May Arts has the dotted ribbon for you! 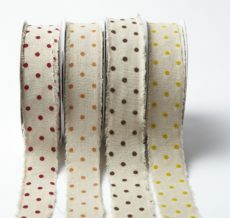 If you prefer a traditional polka dot, we have it available in sheer or grosgrain. 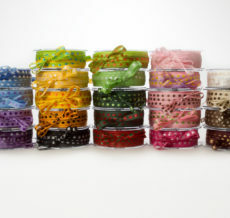 Looking for something a bit more fun? 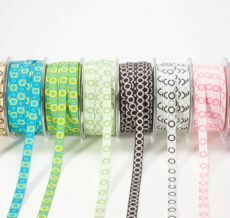 Check out our glitter or reversible dots!